Home » Uncategorized » What is an apnea monitor? What is an apnea monitor? 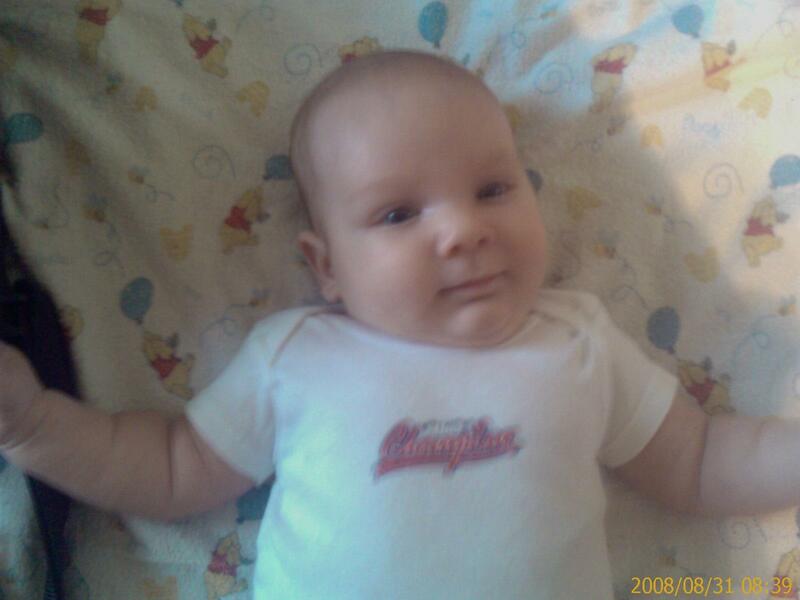 Elizabeth Gorski September 1, 2008 September 1, 2008 Comments Off on What is an apnea monitor? 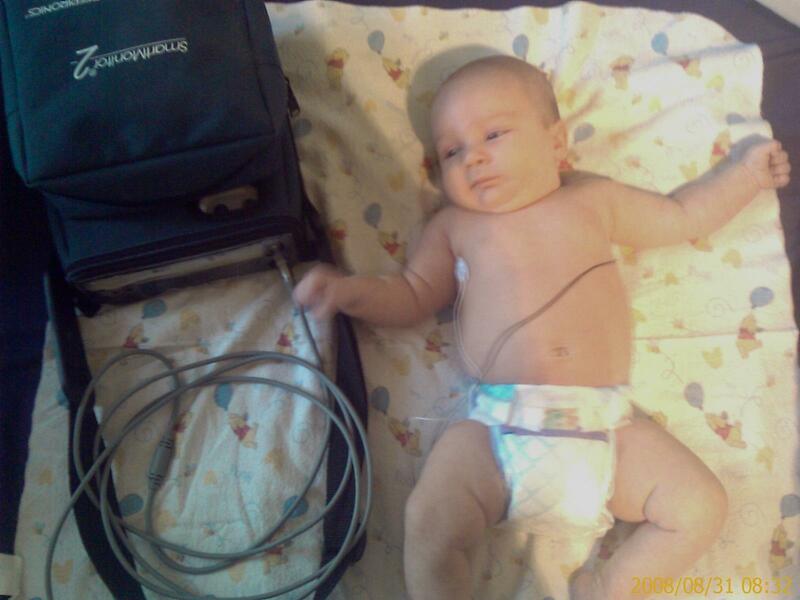 These are pictures of Emmett John with his Apnea Monitor. Luckily, it’s small enough that it’s portable and easy to take every where he goes. I was worried that the pack part would be big and bulky like the Wallaby blanket box was. We have our choice of two ways to use the monitor. We can keep it on him only when we have to leave him alone (ie in the swing, bouncy seat or while he sleeps). Or we can leave it on him all the time. Right now, I’m opting to leave it on all the time because I want to be sure that we catch whatever is going on. That way they can hopefully figure it out difinitively. Rather than stating what they “think it might be”. As it is, we stopped at the grocery store yesterday on our way home from the hospital and decided to not use it since we would be with him. And of course, it happened while we were in the store. *sigh* So now he wears it all the time – except for bath time because that would be bad. Mr. Emmett John and his monitor. The white one is on the right (white on right) and keeps track of his respirations. If he stops breathing for 16 seconds the monitor begins to record the episode. If he still isn’t breathing after 20 seconds the alarm sounds. Believe me when I say that you can’t miss this alarm. It hurts your ears and your head too for that matter. The black one is on the left (smoke over fire) and keeps track of his heartrate. If his heartrate drops below 80bpm or spikes above 220bpm the alarm will sound.